For a totally different art experience on a smaller scale, walk 3 blocks from the back of MFA to a local favorite and one of Boston’s jewels. The Gardner is an immersion into a personal, intimate collection of fine and decorative art exhibited throughout the rooms of a lovely 15th century Venetian-style palace surrounded by flower-decked courtyards and gardens. Three stories of galleries and loggias are filled with paintings, furniture, decorative arts. Lunch in Café G is delightful. Of course you can get out on the water on a rainy day! 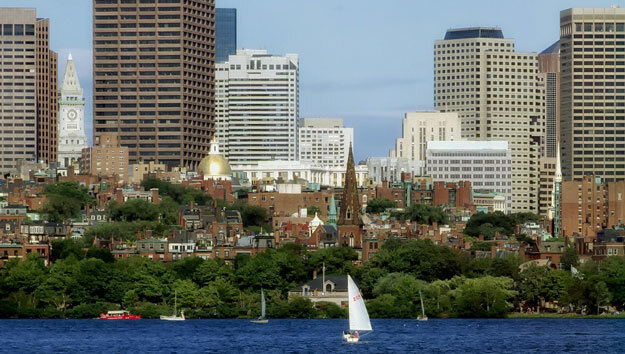 Do it in style on a leisurely cruise around Boston Harbor in the comfort of climate-controlled interior seating and dining areas with large viewing windows of well-appointed cruising vessels. 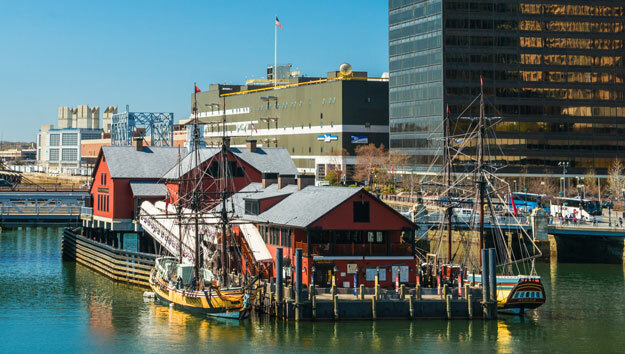 Enjoy lavish buffets and entertainment on Spirit of Boston Cruises’ Sunset Dinner Cruise departing from the World Trade Center Terminal in the Seaport District. (MBTA: “T” Silver Line to Seaport; OTT Stop#19) Odyssey Lunch Cruise, with a grand buffet lunch and live music and Odyssey’s Dinner Cruise, with table side service, live entertainment and dancing, depart from Rowe’s Wharf. (MTPA: “T: Orange Line to State St.; OTT Stop #1). Harbor Seals hanging out in the water at the Aquarium entrance set the stage for what’s inside – a lively experience showcasing the diversity of sea life from around the globe. Favorites: the mesmerizing, huge central tank with all sorts of sea creatures swimming through; attention-grabbing tentacles of the giant Pacific octopus; fun-to-watch waddling penguins. (MBTA: “T” Orange Line to State St.; OTT Stop #1) Note: If you take the “T” to State St. to get to the waterfront, walk through Quincy Marketplace and stop for a cup of chowder, a lobster roll, or souvenir shopping. Located on the grounds of Science Park spanning the Charles River, everything in this venerable museum is all about science and technology, past, present and future. It’s great for kids to see how things work and actively engage in a range of exhibits from engineering, health and the body, to electricity, lightning, wind, butterflies, bees and so much more. Learn about the universe in the planetarium; see dramatic nature films in the IMAX Theater. While it may lack the sizzle of newer museums, kids love it! (MBTA: “T” Green Line to Science Park/West End; OTT Stop #4 – both require a several block walk).